Pump casing and impeller are made of stainless steel material which will make drink water clean and safe. Even the pump hasn’t been used for a while, it will not have shaft jamming problem. Jet guide vane design. Strong suction lift(Max. up to 9m). It can be use to deliver for underground application. It has thermal protector to prevent dry-running that might cause motor to burn up. Compact size and space saving. Better performance and low output current. Aluminum alloy motor casing design. It has better heat dissipation effect that can lower down motor temperature. Villas and apartments water supply. 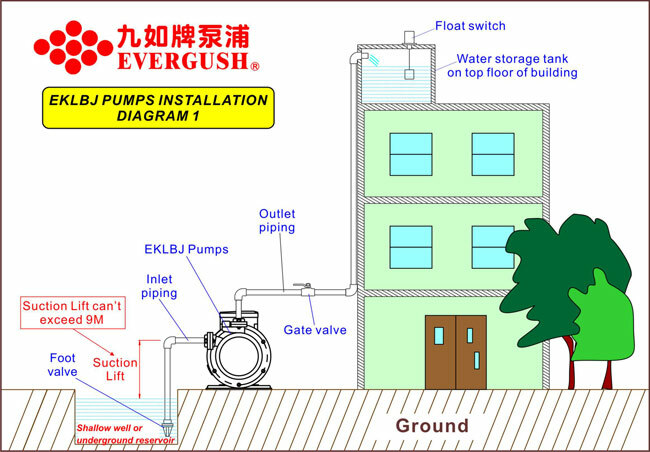 Drinking equipments、water purified equipments and RO equipments water supply. Extract water from underground(Max. suction lift is 9m). 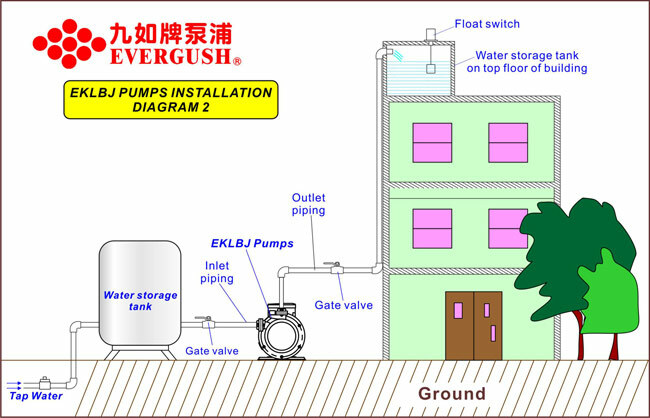 Suitable liquid: drinking water、liquid characteristic that is close to clean water or other non-corrosive liquid. DO NOT deliver above +50 C hot water. 2 pole squirrel cage induction motor.